The title of this collection comes from the very first short story. Kuniko Mukoda writes piercing vignettes of Japanese life which are really not so different from anyone’s life; we all have longings, insecurities, or choices we regret. The lives we lead are highlighted in her work, each story becoming an irony to ponder and reflect on when finished. I can’t tell you how much I’ve enjoyed reading her work this weekend. 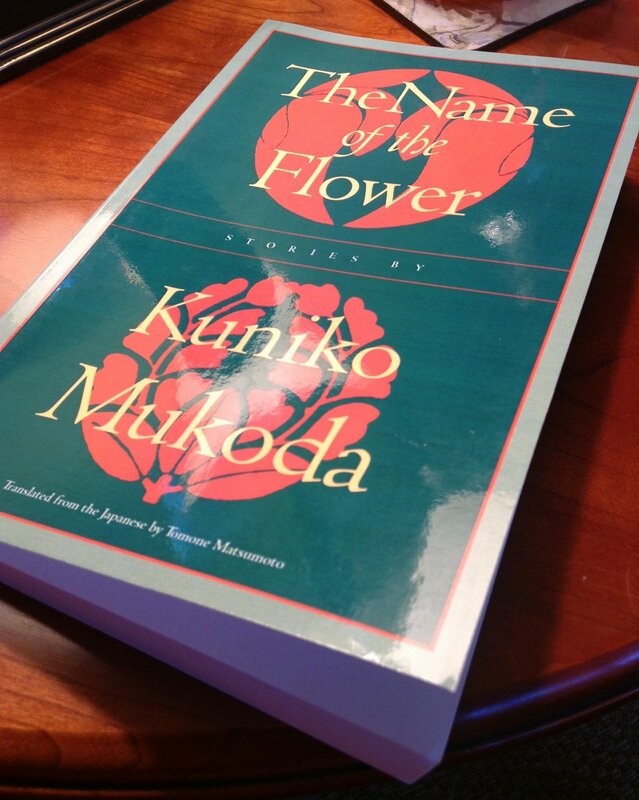 Thank you to Stone Bridge Press for sending me this collection of Japanese stories. I’d like to pass it on to another lover of Japanese fiction. Simply leave a comment if you wish to be considered for the give away, which is international, of course. 1.27.13 I have decided to give this book to Tony for his outstanding idea to host January in Japan. He has made it a marvelous month, filled with all kinds of information about Japanese authors and literature, and I am thrilled to add this book to his collection. Thank you, Tony. This sounds like a fascinating collection of stories, Bellezza, and I would love to read it. These stories sound absolutely transfixing! Please enter me in your giveaway. Thank you, Bellezza! Tony, thanks for adding this to your list of reviews at January in Japan. I'm sorely disappointed in myself for all that I have not read for either of our January challenges…still longing to read The Devotion of Suspect X, Asleep, The Lake and a few more. At least I'll fit in The Briefcase before we wrap things up. I;ve been reading a little more Japanese fiction recently.This would be a good way to discover another new one to me. Seems like a great read & one I'd love to explore in depth. This sounds very good. THANKS for sharing. Sounds like a great collection. On an unrelated note, I have to ask you a question that's been nagging at me. You've got that lovely list of authors reviewed in your sidebar. When you created that list, did you go all the way back to the beginning of your blogging days? I think it is the most wonderful idea *ever* but I can't even begin to imagine going back through nearly 7 years' posts. Bloggers are much better-read in books in translation other book reviewers, have you noticed? I've been surfing the web for suggestions for translations to read. I am interested in women's literature, know nothing about Japanese women's literature,and really want to read “The Otter”! Thank you for writing about this book!